What makes an odd number different from an even number? This isn’t like a Sesame Street kind of test. I’m simply asking why should three be more odd than six? Or eighteen be more even in nature than twenty-one. 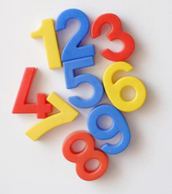 What makes a number odd or even, and how is it that from the age of three or four every child knows whether a number is odd or even? Oddly arranged numbers in an Even order. They might know what an odd or even number is, but do they know why? It’s strange. It’s bizarre. It’s well, frankly, odd.